Filing GSTR-1 in GST Govt. Portal. (15) 12 - HSN-wise-summary of outward supplies: To furnish the summarized details of all outward supplies HSN and rate wise along with quantitative details. 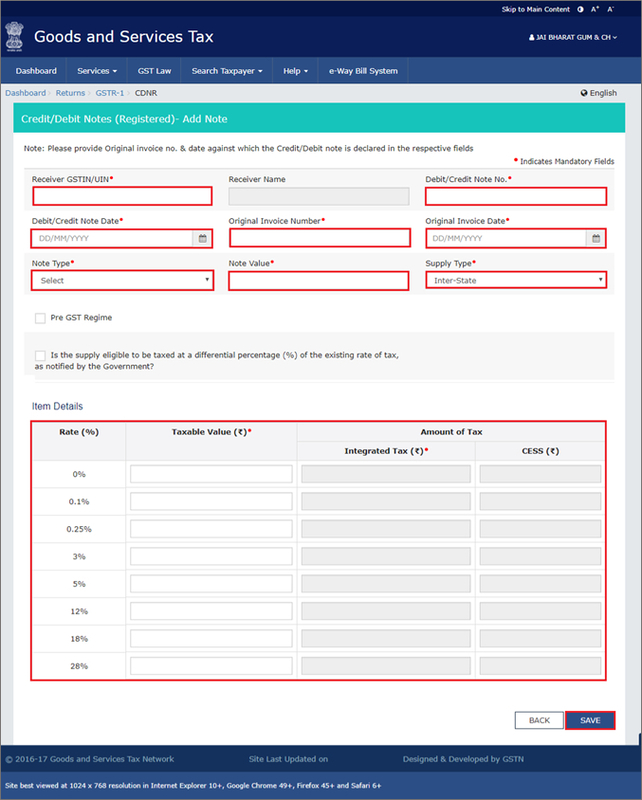 The "Option Form for Quarterly Return filing by Normal Taxpayer" page is displayed. 1. Select Yes or No for "Whether your aggregate turnover during FY 2016-2017 was upto Rs. 1.5 Crores? : If you have registered after 1st July 2017, do you expect your aggregate turnover during FY 2017-2018 to be upto Rs. 1.5 Crores?". In case you are an existing taxpayer and has been enrolled with GST Portal and your aggregate turnover during FY 2016-2017 was upto Rs. 1.5 Croress, select Yes or else select No. In case you have registered on the GST Portal after 1st July 2017 and expect your aggregate turnover during FY 2017-2018 to be upto Rs. 1.5 Crores, select Yes or else select No. a. Select Yes or No for Would you like to opt for quarterly filing of tax return:. 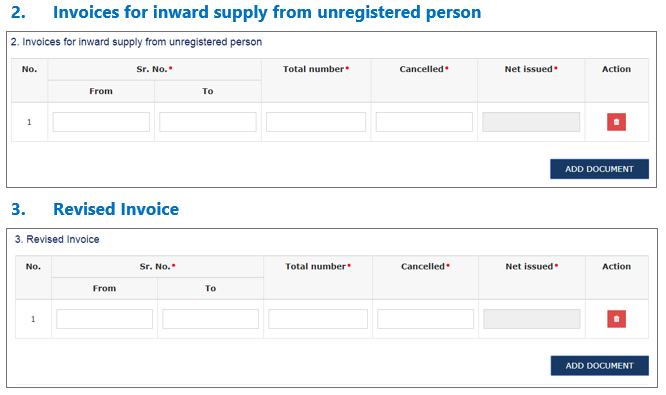 Once you click the PROCEED button, all your previous filed GSTR-1 returns except for the month of July will be ignored. You will be required to file returns for the quarters ending September, December and March. Payments of all your taxes will be monthly through form GSTR-3B. A success message is displayed for selection of quarterly filing of returns. Once you click the PROCEED button, you can file your GSTR-1 monthly. A success message is displayed for selection of monthly filing of returns. b. Click the PROCEED button. A success message is displayed for selection of monthly filing of returns. 2. 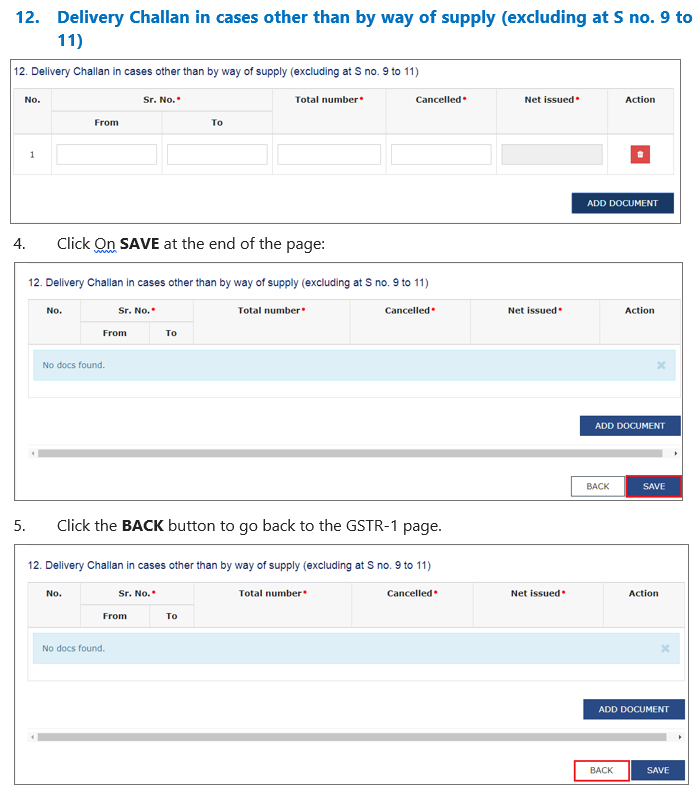 In the GSTR-1 tile, click the PREPARE ONLINE button if you want to prepare the return by making entries on the GST Portal. • You can click the PREPARE OFFLINE button to upload the JSON (Java Script Object Notation) file containing invoice details and other GSTR-1 details in the GSTN specified format prepared through the GSTN provided offline tools or any other software. 3. The GSTR-1 – Details of outward supplies of goods or services page is displayed. In first month, Turnover of ‘Aggregate Turnover - April to June, 2017’ will be there for Taxpayer to fill along with ‘Aggregate Turnover in the preceding financial year’ and then click on the SAVE button. This field is mandatory. You can proceed to furnish other details only after furnishing this information. 1. 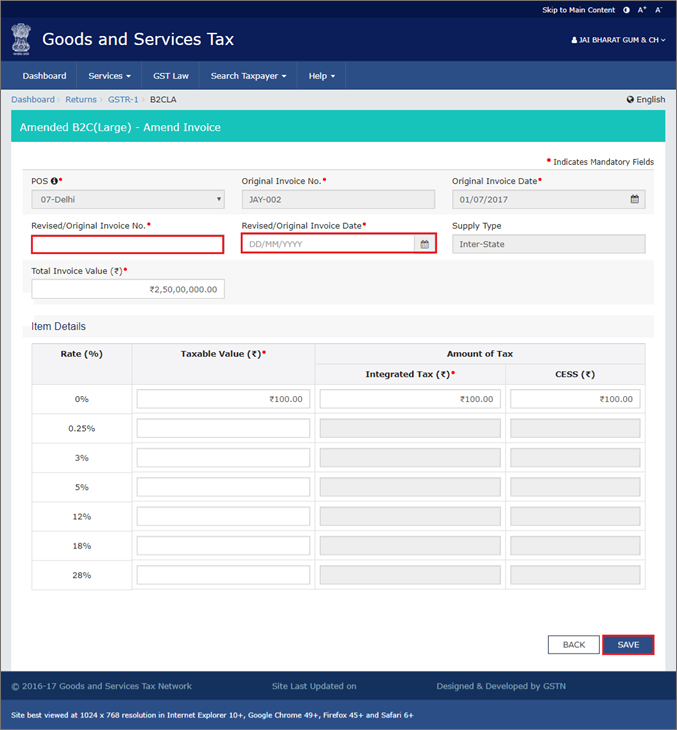 Scroll down to the bottom of the GSTR-1 – Details of outward supplies of goods or services page and click the GENERATE GSTR1 SUMMARY button to include the auto drafted details pending for action from recipients. The invoices that were missed to be included by you, may have been added in the Uploaded by Receiver while filing his GSTR-2. After the summary generation is initiated, you will notice the message to check after one minute. After the summary is generated, you will notice a success message on top of the page. 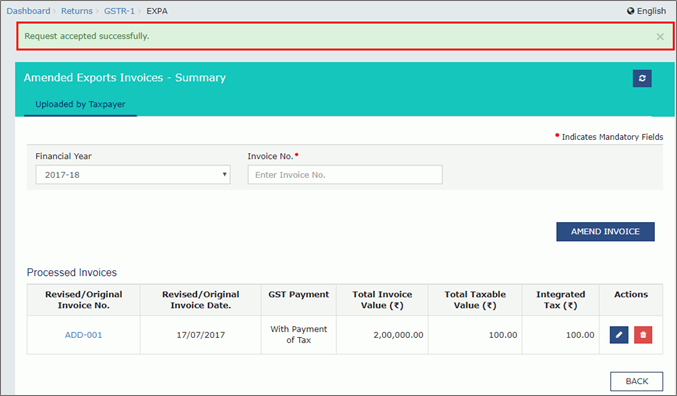 In case you want to see the summary instantly, after you have added the invoices, you can also generate the summary by clicking the GENERATE GSTR1 SUMMARY button. 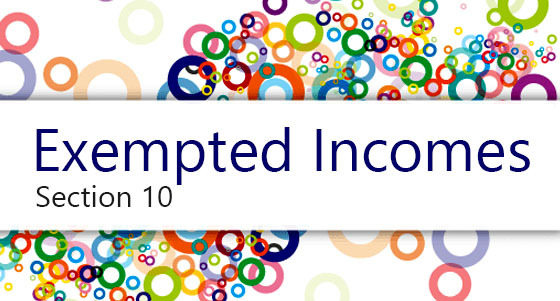 However, summary can be generated only at interval of 10 minutes. In case you attempt to generate summary, earlier than 10 minutes, you will notice an error message on top of the page. 1. 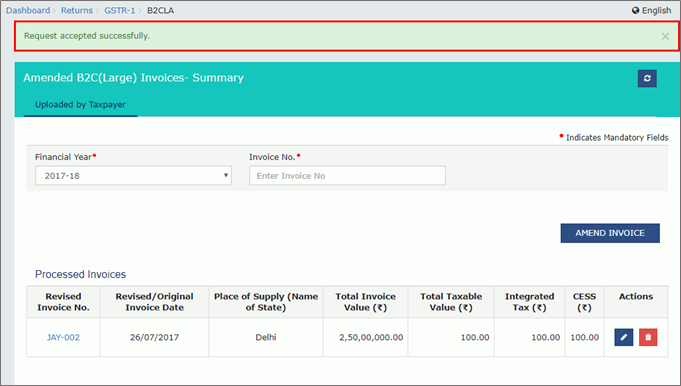 Click the 4A, 4B, 4C, 6B, 6C - B2B Invoices tile to enter the invoice details for B2B transactions (goods/ services sold to a registered taxpayer). Note: Deemed export details can be provided for payment of IGST, CGST and SGST payments. 6. 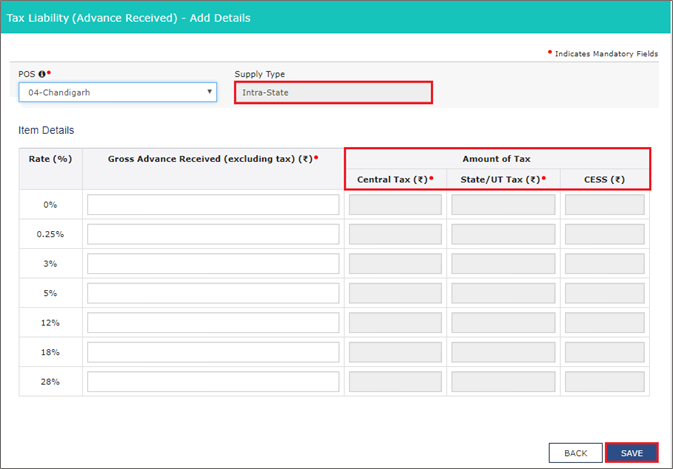 Select the Supply attract Reverse Charge checkbox, in case supply made to the taxpayer is covered under the reverse charge mechanism. 7. Select the Is the supply eligible to be taxed at a differential percentage (%) of the existing rate of tax, as notified by the Government? 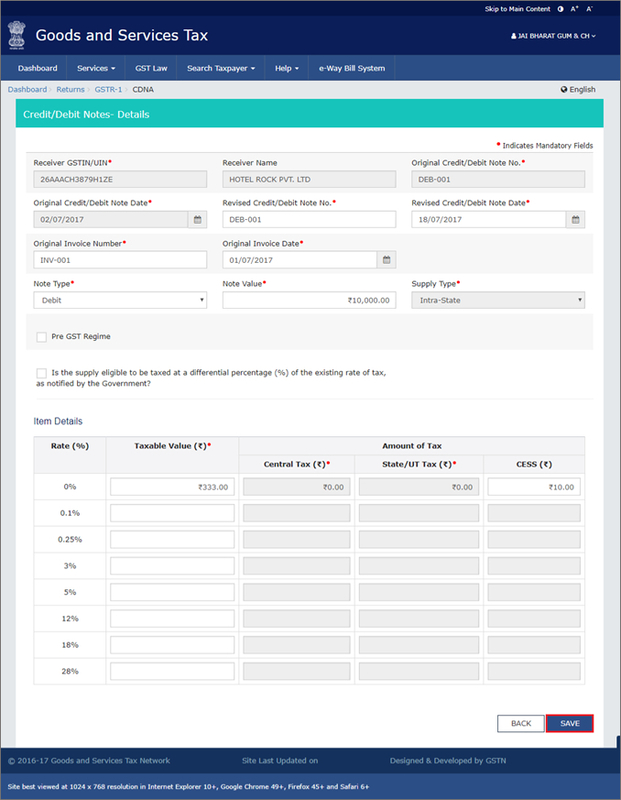 checkbox, in case supply is eligible to be taxed at a differential percentage of the existing rate of tax. Note: B2B invoices uploaded in GSTR-1 as a supplier will reflect in the B2B Invoices of the receiver in GSTR-2A/GSTR-2 in near real time. However, no action can be taken by receiver unless the Supplier files GSTR-1. Uploaded by Taxpayer: The "Uploaded by Taxpayer" tab shows all the invoices that you have uploaded for a given tax period. 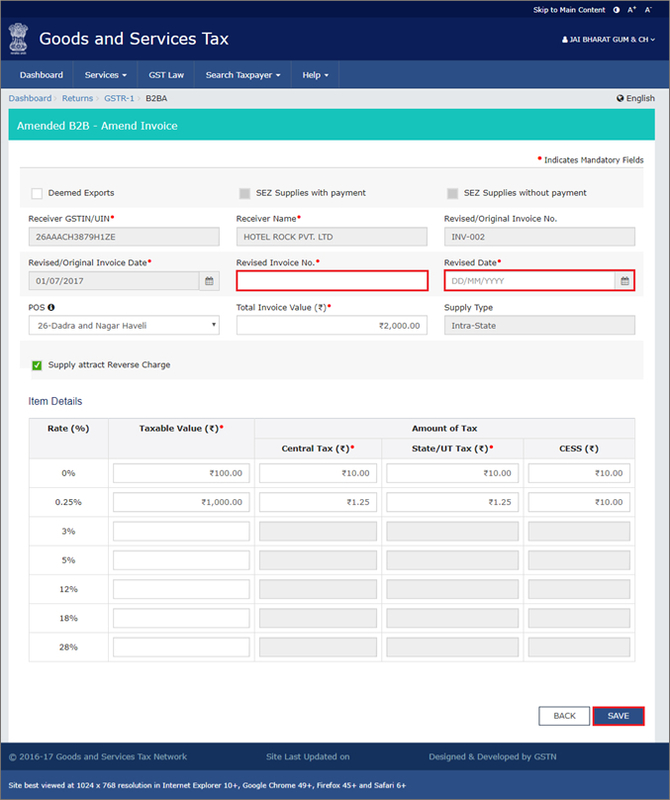 Uploaded by Receiver: The "Uploaded by Receiver" tab displays the invoices that you missed from your GSTR-1, but were uploaded by the Receiver Taxpayer for taking appropriate actions. Modified by Receiver: If the receiver Taxpayer has modified any invoice that you uploaded in your GSTR-1, it will show-up under the "Modified by Receiver" tab for taking appropriate actions. Rejected by Receiver: The "Rejected by Receiver" tab displays invoices from your GSTR-1 that were rejected by the receiver Taxpayer for taking appropriate actions. 10. Click the BACK button to go back to the Invoices - Receiver-Wise-Summary page. You will be directed to the GSTR-1 landing page and the B2B Invoices tile in GSTR-1 will reflect the number of invoices added along with Total Invoice value, Total taxable value and total tax liability. 1. 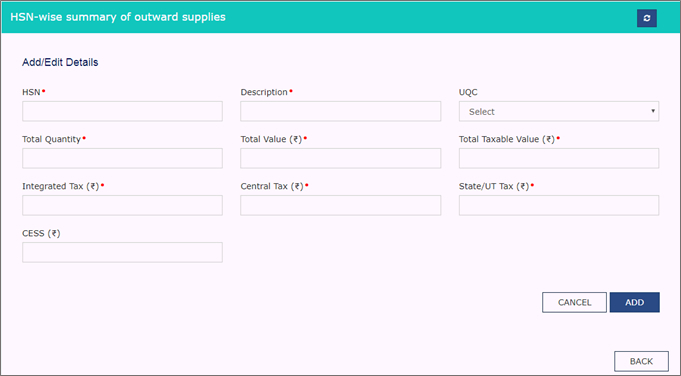 Click the 5A, 5B - B2C (Large) Invoices tile to enter the invoice details for inter-state taxable outward supplies made to a consumer of value greater than 2.5 lacs. 7. If the supply is made through an e-commerce company, select the checkbox for Supplies through E-Commerce and in the GSTIN of the e-commerce operator field, enter the GSTIN of the e-commerce company. 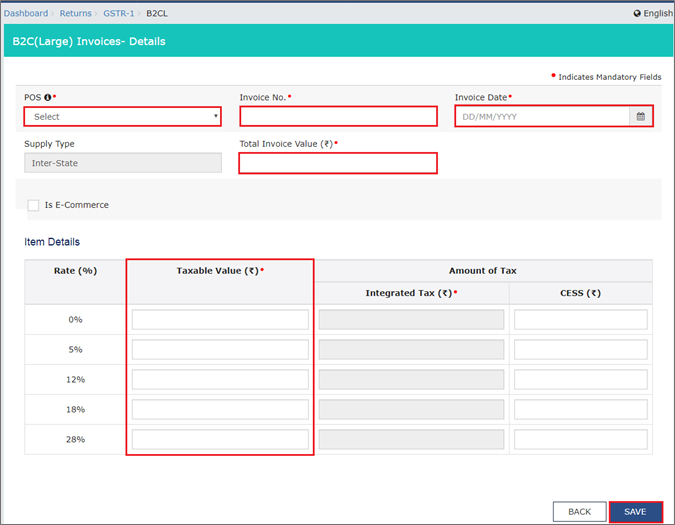 You will be directed to the GSTR-1 landing page and the B2C (large) Invoices tile in GSTR-1 will reflect the number of invoices added along with Total tax liability. 1. Click the 9B - Credit / Debit Notes (Registered)/refund voucher tile to enter the details of credit or debit notes issued to the registered recipients or details of refund voucher against advance received. 2. 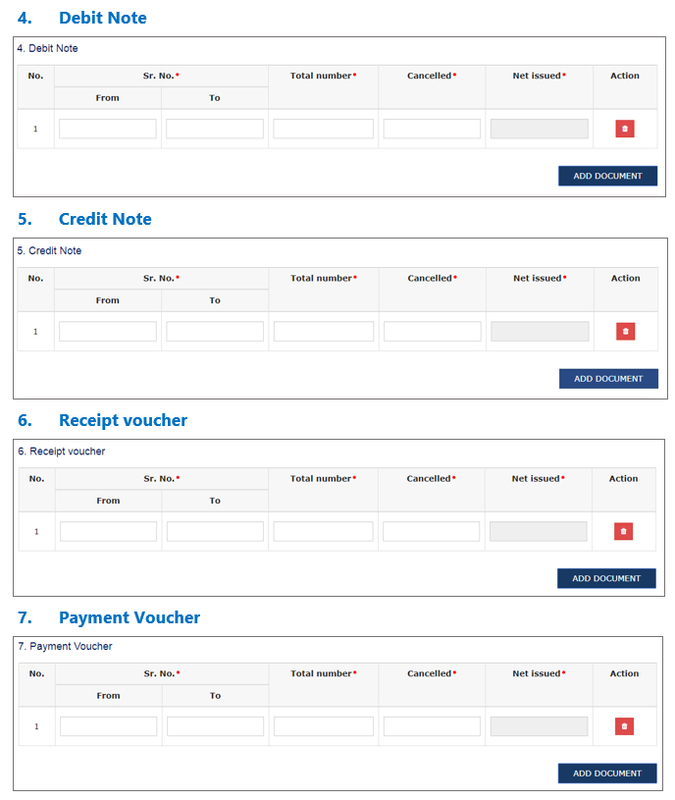 The Credit/Debit Notes (Registered) - Summary page is displayed. Click the ADD DETAILS button to add credit or debit note details. 11. 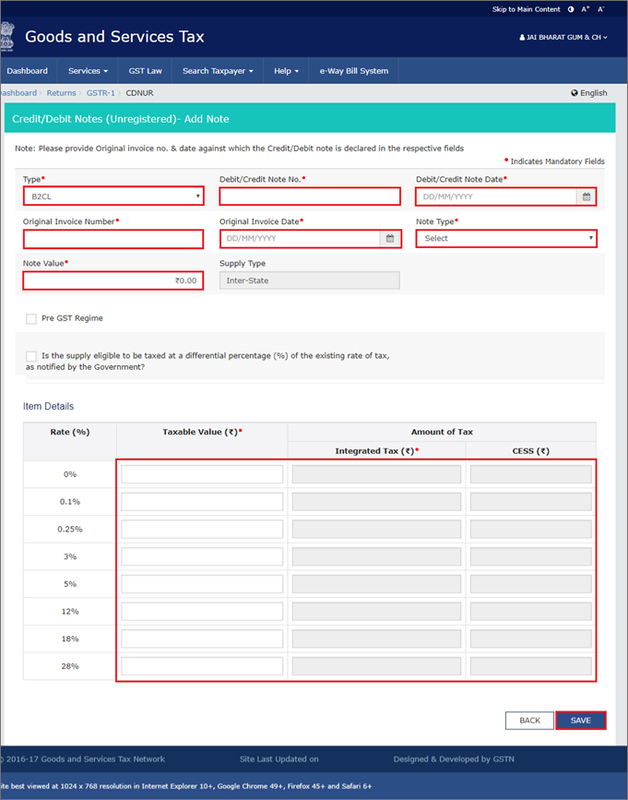 Select the Is the supply eligible to be taxed at a differential percentage (%) of the existing rate of tax, as notified by the Government? 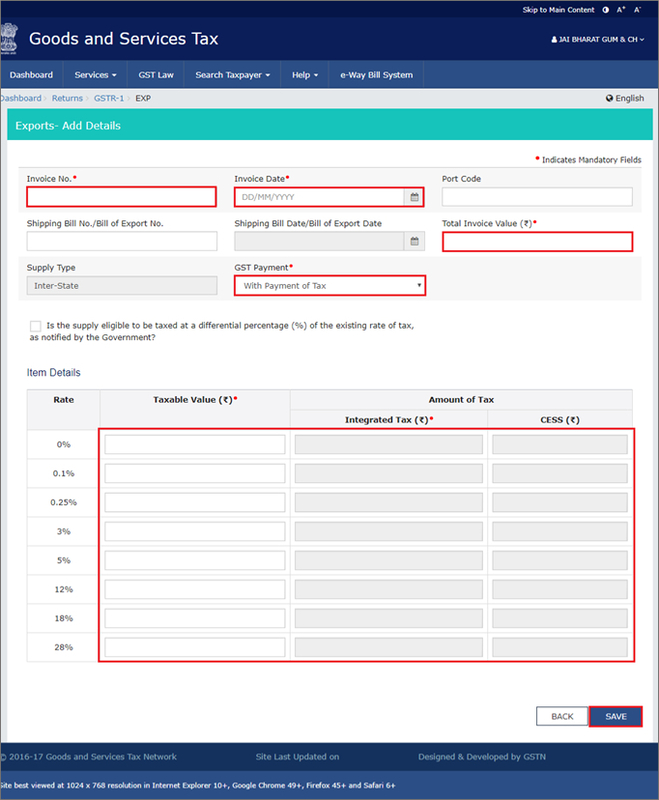 checkbox, in case supply is eligible to be taxed at a differential percentage of the existing rate of tax. Uploaded by Taxpayer: The "Uploaded by Taxpayer" tab shows all the debit/credit note/refund vouchers that you have uploaded for a given tax period. Uploaded by Receiver: The "Uploaded by Receiver" tab displays the debit/credit note/refund vouchers that you missed from your GSTR-1, but were detected and uploaded by the Receiver Taxpayer for taking action. 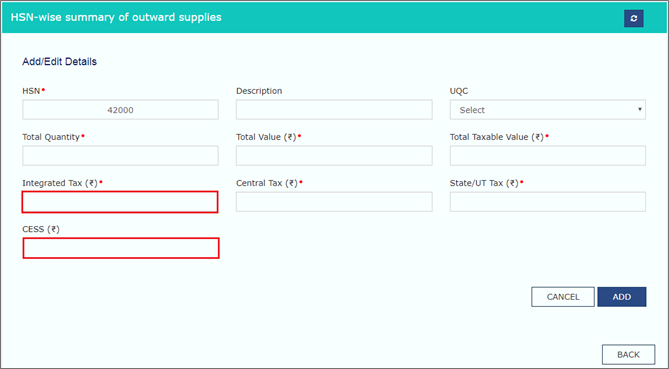 Modified by Receiver: If the receiver Taxpayer has modified any debit/credit note/refund vouchers that you uploaded in your GSTR-1, it will show-up under the "Modified by Receiver" tab for taking action. Rejected by Receiver: The "Rejected by Receiver" tab displays debit/credit note/refund vouchers from your GSTR-1 that were rejected by the receiver Taxpayer. 14. You will be directed to the GSTR-1 landing page and the 9B- Credit/ Debit Notes (Registered) tile in GSTR-1 will reflect the number of credit/debit notes/refund vouchers added. 1. Click the 9B - Credit / Debit Notes (Unregistered) tile to enter the details of credit or debit notes issued to the unregistered recipients. 2. 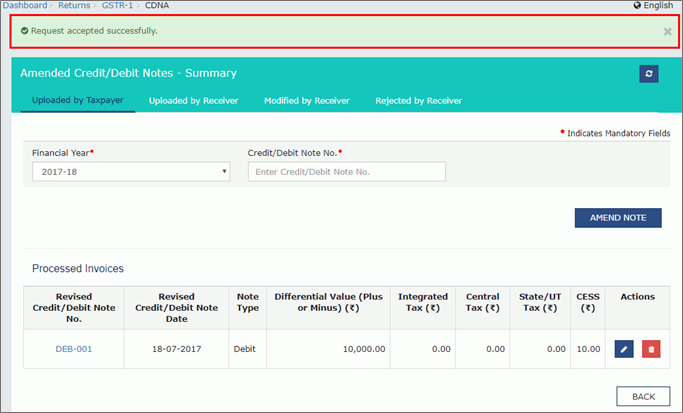 The Credit/Debit Notes (Unregistered) - Summary page is displayed. Click the ADD DETAILS button to add credit or debit note or refund voucher details. 10. Select the Is the supply eligible to be taxed at a differential percentage (%) of the existing rate of tax, as notified by the Government? checkbox, in case supply is eligible to be taxed at a differential percentage of the existing rate of tax. 13. You will be directed to the GSTR-1 landing page and the 9B- Credit/ Debit Notes (Unregistered) tile in GSTR-1 will reflect the number of credit/debit notes/ refund vouchers added. Note: Shipping Bill No./Bill of Export No. should be minimum 3 and maximum 15 digit numeric. 11. In the Taxable Value field against the rates, enter the taxable value of the goods or services. 12. Click the SAVE button to save the details. 14. Click the BACK button. 15. 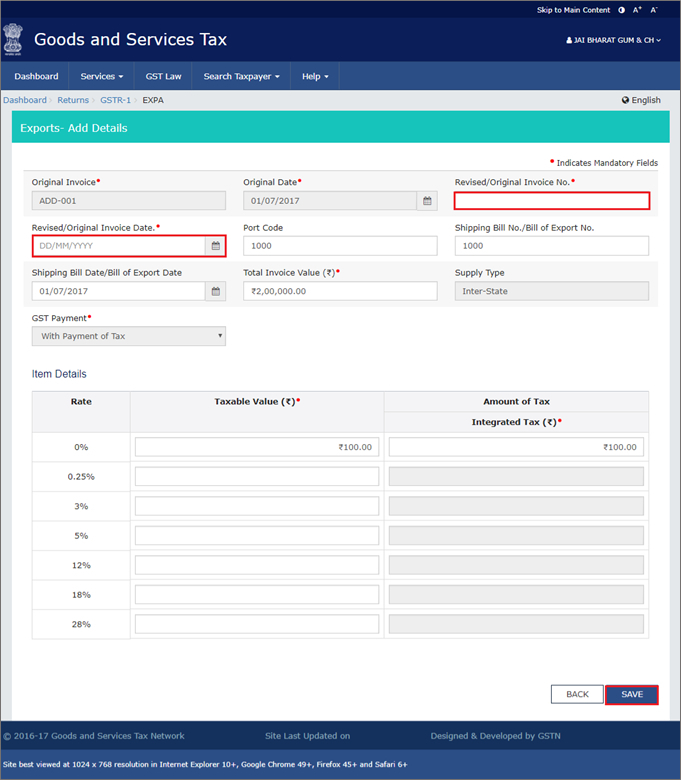 You will be directed to the GSTR-1 landing page and the Export Invoices tile in GSTR-1 will reflect the number of such invoices added along with Total tax liability. 1. Click the 9A - Amended B2B Invoice tile. 2. Select the Financial Year from the drop-down list. 3. In the Invoice No. field, enter the invoice number which you want to amend from earlier tax period. 4. Click the AMEND INVOICE button. 5. In the Revised Invoice No. field, enter the revised invoice number for the previous invoice. 6. Select the Revised Date using the calendar. Make amendments to the details as required. You will be directed to the previous page and a message is displayed that Request accepted successfully. Here, you can also edit/delete the amended invoices (under Actions). Similarly, you can amend the invoices uploaded by receiver, modified by receiver or rejected by receiver. You will be directed to the GSTR-1 landing page and the 9A - Amended B2B Invoice tile in GSTR-1 will reflect the number of such invoices amended along with Total Tax Liability. It should be noted that you have to pay the tax in this tax period only on the differential liability. 1. Click the 9A - Amended B2C (Large) Invoice tile. 5. In the Revised/ Original Invoice No. field, enter the revised or original invoice number for the previous invoice. 6. Select the Revised/ Original Invoice Date using the calendar. Make amendments to the details as required. You cannot amend the POS of the invoice furnished earlier. 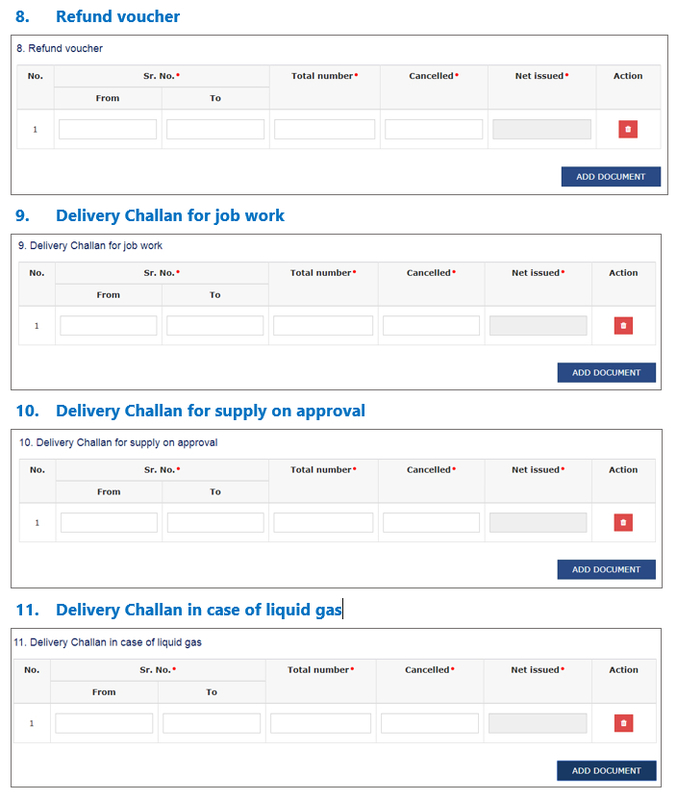 Here, you can also edit/delete the amended invoices (under Actions) if GSTR-1 has not been submitted yet. Place of Supply (POS) cannot be changed. You will be directed to the GSTR-1 landing page and the 9A - Amended B2C (Large) Invoice tile in GSTR-1 will reflect the number of such invoices amended along with Total Tax Liability. It should be noted that you have to pay the tax in this tax period only on the differential liability. 1. 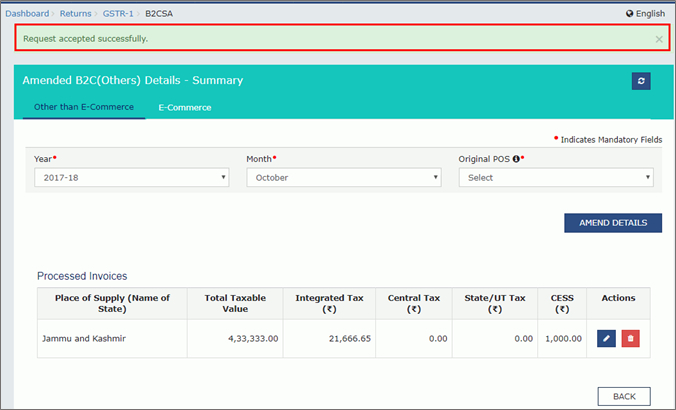 Click the 9A - Amended Exports Invoices tile. 6. Select the Revised/ Original Invoice Date using the calendar. Make amendments to the details as required. You cannot amend the type of export (WPAY) /WOPAY mentioned in the invoice furnished earlier. You will be directed to the GSTR-1 landing page and the 9A - Amended Exports Invoices tile in GSTR-1 will reflect the number of such invoices amended along with Total Tax Liability. It should be noted that you have to pay the tax in this tax period only on the differential liability. 1. Click the 9C - Amended Credit/ Debit Notes (Registered) tile. 3. In the Credit/Debit Note No. field, enter the credit or debit number which you want to amend from earlier tax period. 4. Click the AMEND NOTE button. 5. In the Revised Credit/ Debit Note No. field, enter the revised credit or debit Note number. 6. Select the Revised Credit/ Debit Note Date using the calendar. Make amendments to the details as required. You cannot amend the Unregistered nature of original supply (Export/B2CL) of the credit/debit note furnished earlier. Note: The status of the added note is Processed. Here, you can also edit/delete the amended notes (under Actions). You will be directed to the GSTR-1 landing page and the 9C - Amended Credit/ Debit Notes (Registered) tile in GSTR-1 will reflect the number of such invoices amended along with Total Tax Liability. It should be noted that you have to pay the tax in this tax period only on the differential liability. 1. Click the 9C - Amended Credit/ Debit Notes (Unregistered) tile. 3. In the Credit/Debit Note No. field, enter the credit or debit note number which you want to amend from earlier tax period. 5. In the Revised Debit/ Credit Note No. field, enter the revised credit or debit number. 6. Select the Revised Debit/ Credit Note Date using the calendar. Make amendments to the details as required. You cannot amend the unregistered nature of original supply (Export/B2CL) in CDNA of the credit/debit note furnished earlier. You will be directed to the GSTR-1 landing page and the 9C - Amended Credit/ Debit Notes (Unregistered) tile in GSTR-1 will reflect the number of such invoices amended along with Total Tax Liability. It should be noted that you have to pay the tax in this tax period only on the differential liability. 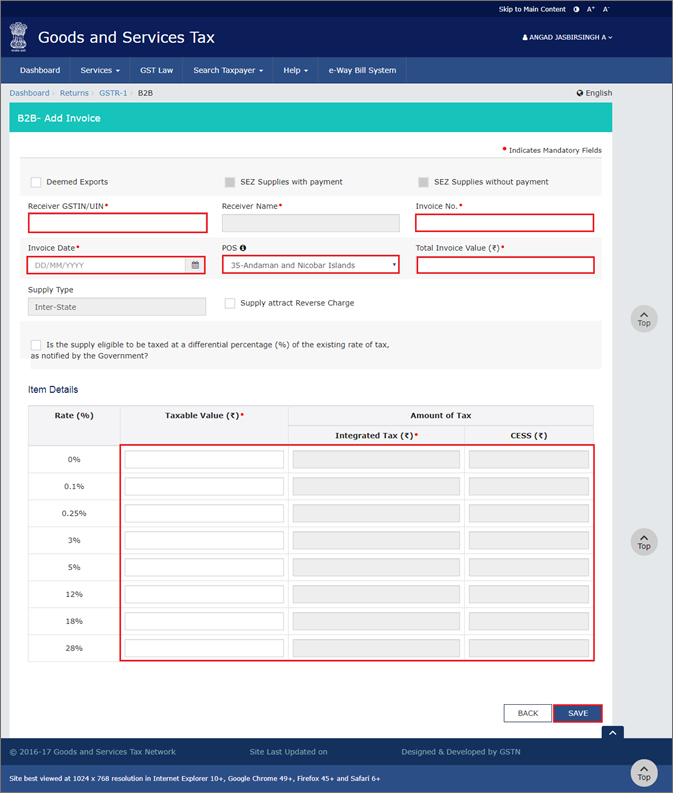 You will be directed to the GSTR-1 landing page and the B2C (Others) tile in GSTR-1 will reflect the number of invoices added along with total tax liability. 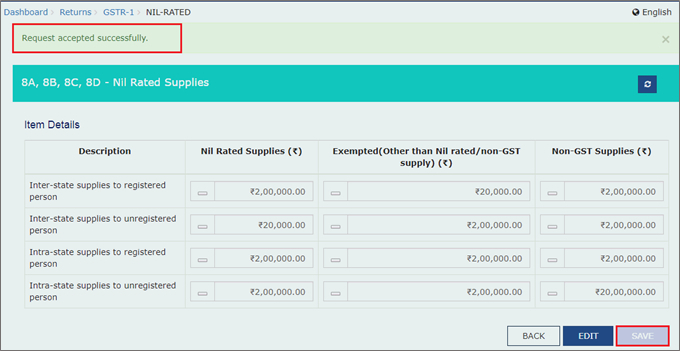 You will be directed to the GSTR-1 landing page and the Nil Rated Supplies tile in GSTR-1 will reflect the updated value. 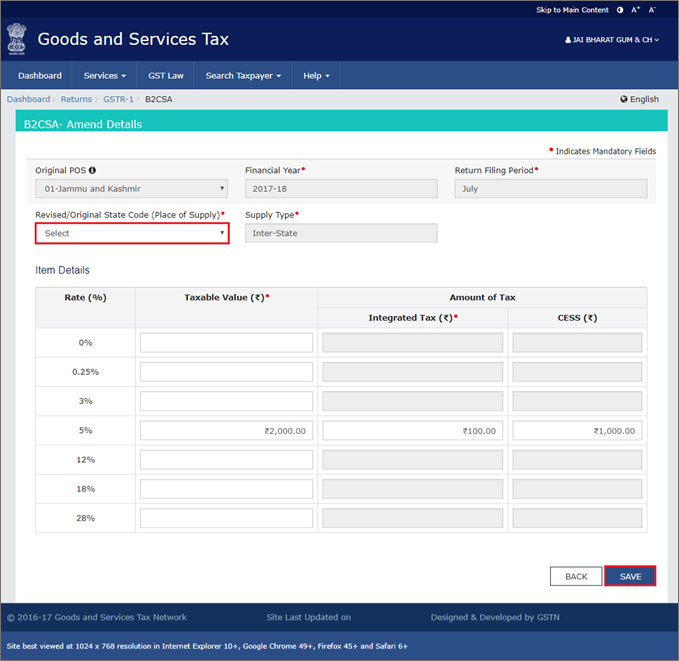 You will be directed to the GSTR-1 landing page and the Tax Liability (Advance Recieved) tile in GSTR-1 will reflect the updated total value and no. of entries. 3. 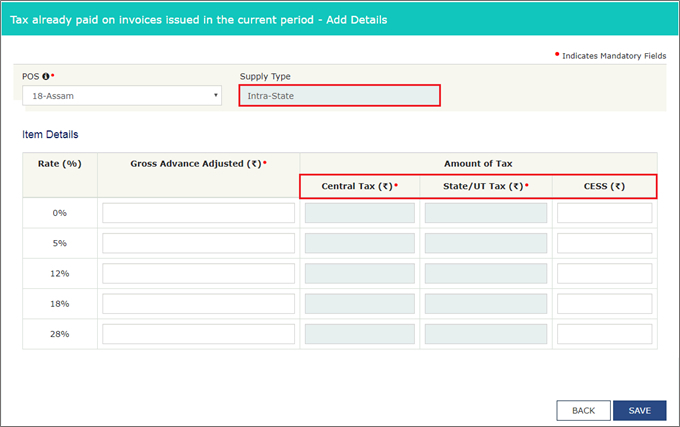 The Tax already paid on invoices issued in the current period - Add Details page is displayed. 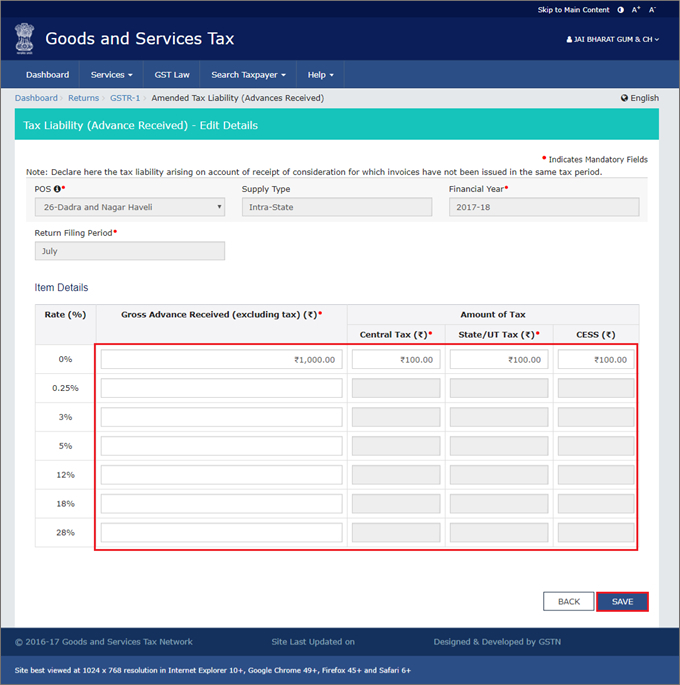 You will be directed to the GSTR-1 landing page and the Adjustment of Advances tile in GSTR-1 will reflect the number of line items added. You will be directed to the GSTR-1 landing page and the HSN summary of outward supplies tile in GSTR-1 will be updated. You will be directed to the GSTR-1 landing page and the Documents Issued summary tile in GSTR-1 will be updated. 1. 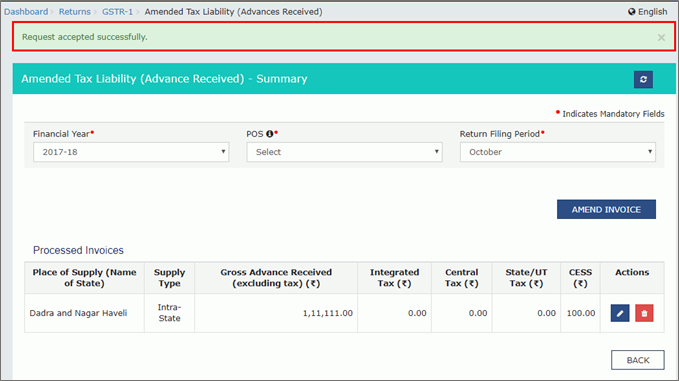 Click the 11A - Amended Tax Liability (Advance Received) tile. 2. Select the Financial Year of the line item declarations of previous tax period you wish to amend from the drop-down list. 3. Select the POS of the line item of the declarations of previous tax period from the drop-down list. 4. Select the Return Filing Period of the declarations of previous tax period from the drop-down list. 5. Click the AMEND INVOICE button. 6. Make the amendments as required. 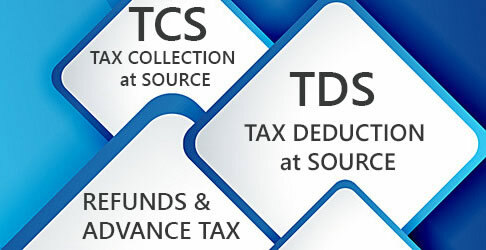 You cannot amend the Advance Tax Place of Supply (PoS) field/s of the line items furnished earlier. 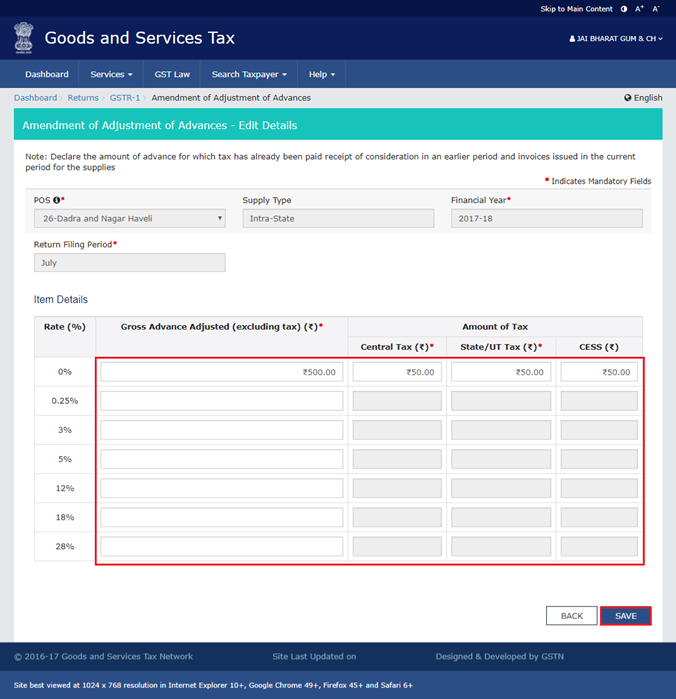 You will be directed to the GSTR-1 landing page and the 11A - Amended Tax Liability (Advance Received) tile in GSTR-1 will reflect the number of such invoices amended along with Total Tax Liability. It should be noted that you have to pay the tax in this tax period only on the differential liability. 1. Click the 11B - Amended of Adjustment of Advances tile. 2. Select the Financial Year of the line item of the declarations of previous tax period from the drop-down list. 4. Select the Return Filing Period of the line item of the declarations of previous tax period from the drop-down list. 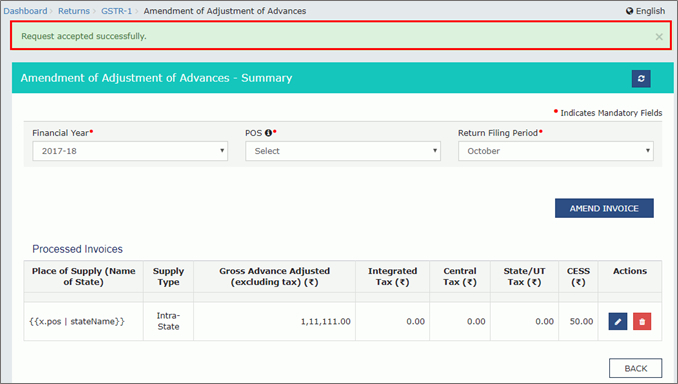 You will be directed to the GSTR-1 landing page and the 11B - Amended of Adjustment of Advances tile in GSTR-1 will reflect the number of such invoices amended along with Total Tax Liability. It should be noted that you have to pay the tax in this tax period only on the differential liability. 1. Click the 10 - Amended B2C (Others) tile. 2. Select the Year of the line item of the declarations of previous tax period from the drop-down list. 4. Select the Month of the line item of the declarations of previous tax period from the drop-down list. 3. Select the Original POS of line item of the declarations of previous tax period from the drop-down list. 5. Click the AMEND DETAILS button. 6. 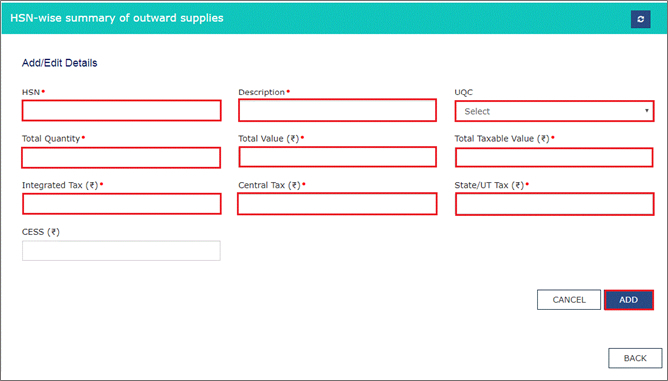 Select the Revised/Original State Code (Place of Supply) from the drop-down list. Make the amendments as required. You cannot amend the Place of Supply field/s of the line items furnished earlier. You will be directed to the GSTR-1 landing page and the 10 - Amended B2C (Others) tile in GSTR-1 will reflect the number of such invoices amended along with Total Tax Liability. It should be noted that you have to pay the tax in this tax period only on the differential liability. Once you have generated the GSTR-1 Summary to added invoices, click the PREVIEW button. This button will download the draft Summary page of your GSTR-1 for your review. It is recommended that you download this Summary page and review the summary of entries made in different sections with patience before submitting the GSTR-1. The PDF file generated would bear watermark of draft as the details are yet to be submitted. 1. Select the acknowledgement checkbox stating that you have reviewed the details of preview and the information furnished is correct and are aware that no changes can be made after submit. Once you click the acknowledgement, the SUBMIT button will be enabled. 2. 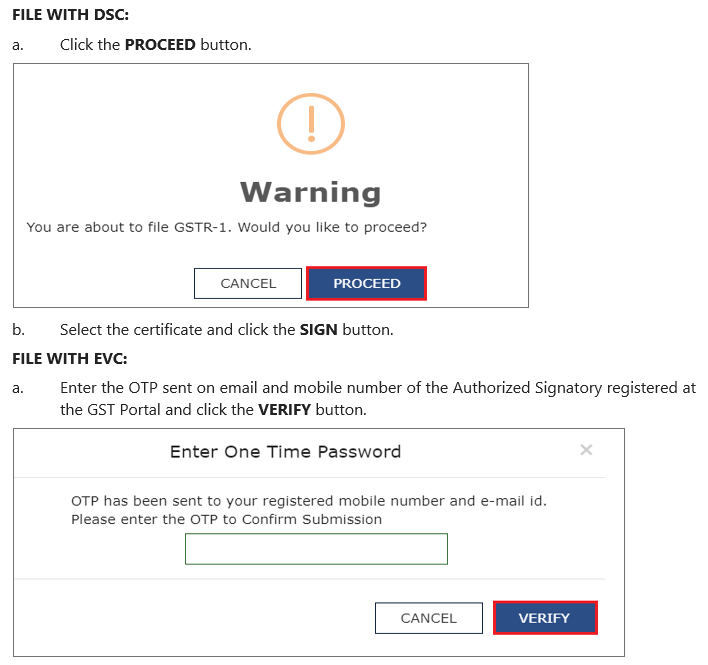 Click the SUBMIT button in the landing page to submit GSTR-1. Note: The submit button will freeze the invoices uploaded in the GSTR-1 for that particular month. You will be not able to upload any further invoices for that month. 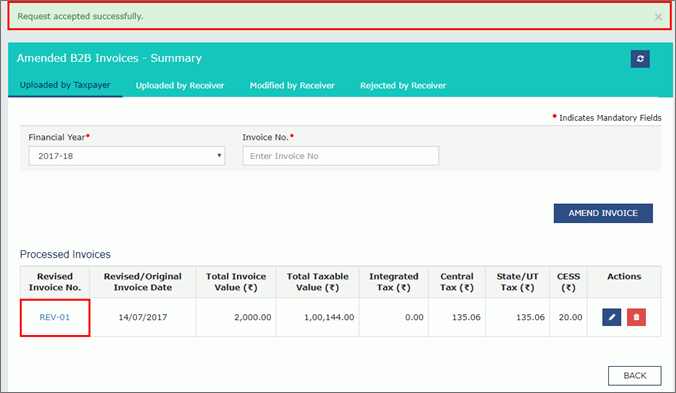 In case you have missed adding any invoice, you can upload those invoices in the next month or you can wait for receiver to add it in receiver GSTR-2. 4. Refresh the page and the status of GSTR-1 changes to Submitted after the submission of GSTR-1. 2. 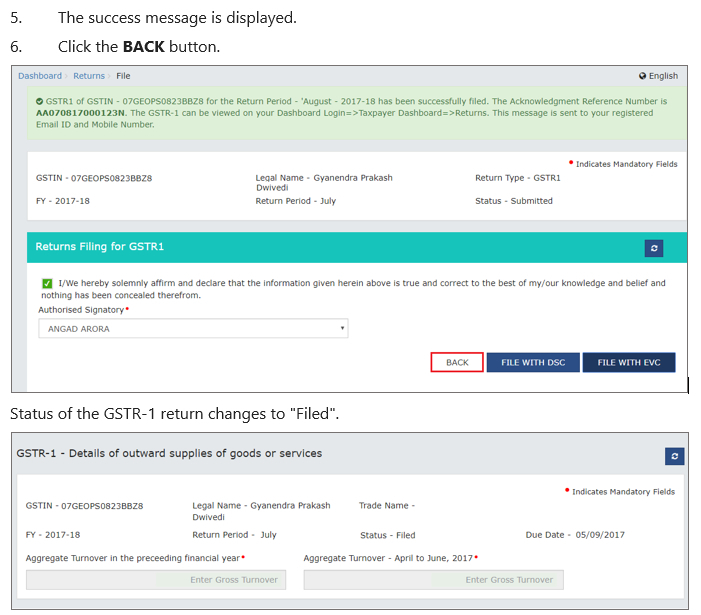 The Returns Filing for GSTR1 page is displayed. Select the Declaration checkbox. 4. 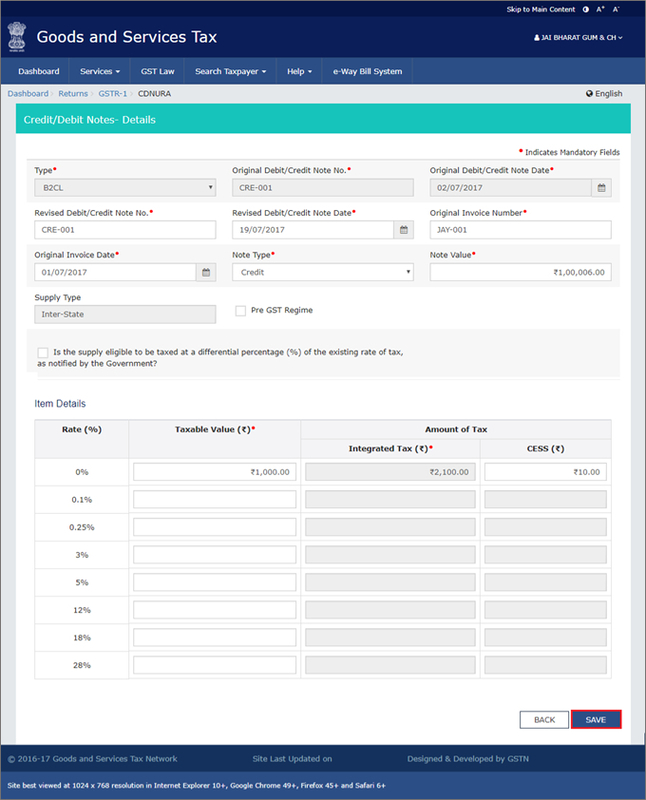 Click the FILE WITH DSC or FILE WITH EVC button to file GSTR-1. Note: On filing of the GSTR-1, notification through e-mail and SMS is sent to the Authorized Signatory.